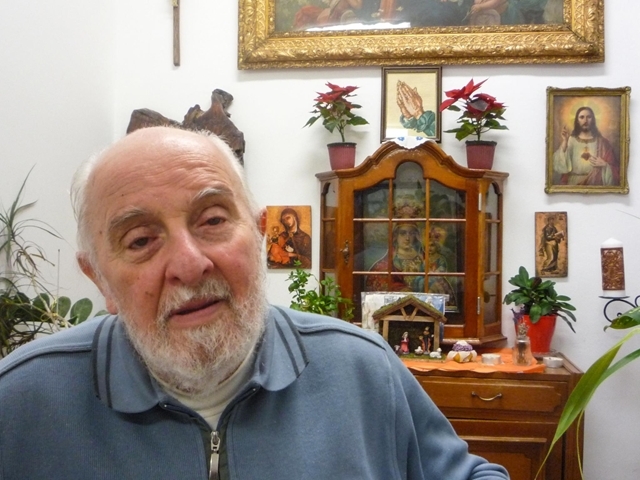 Father Mihály Kardos has spent the last four years of his life in a medical facility for the homeless in Szeged run by the Hungarian Charity Service of the Order of Malta. With both of Fr. Kardos’ legs amputated, the elderly priest needs assisted living and care. Four years ago, he was given the option of living in a much more comfortable home. And before his second leg had to be amputated, that’s exactly how he lived. It was then that he ultimately determined that as a priest, his place was with the homeless. Hungary’s hvg.hu news site published a report, written by Rita Szlavkovits, on Fr. Kardos on 25 December–a fitting piece for Christmas Day. Fr. Kardos lost his two legs due to severe diabetes. Despite being confined to a wheelchair at the Order of Malta’s hospital, however, he lives an active community life, accepting visitors from across the country. When hvg.hu’s journalists visited him, a woman had just arrived with her son, bringing a box of diabetic chocolates, travelling to Szeged from a village in Békés county. “Yesterday people visited from Budapest, but they come from all over. They often come to talk or for a kind word. It is a spiritual need that brings them here,” explained Fr. Kardos. The priest’s ministry, however, focuses mostly on the small hospital for the homeless and on its patients. He explained that since moving here, thirty patients have died. “I don’t ask, I don’t proselytize and I am not pushy…I don’t need to talk. I just am. I do my things among them…” explained Fr. Kardos. He added that the people who inhabit the facility often display greater humanity than people on the outside. The residents are not blinded by pride or by ego. “No human being is to be discarded. Each person has things that are valuable and somehow these must be unearthed,” remarked Fr. Kardos. He recounted a story of a homeless man he knew who a few summers ago told him that if he was not hired to work as a guard at a scrap yard in his small town, he would rather freeze to death on the streets than have to continue to live in abject poverty. That Christmas Fr. Kardos received the news that the 48 year old man, who had grown up in state care and had no family, froze to death. “For thirty years after leaving state care, he drifted in nothingness,” noted Fr. Kardos. “I feel good living here,” said Fr. Kardos of the hospital for the homeless. “I have things to do and I have made friends. For instance, here’s my friend Józsi, who owned a homestead in Öttömös. Now he is sick and homeless, and lives here among us,” he added. In my last HFP article, I mentioned the secularism of Hungarian society and some discussion ensued in the comments section. Fr. 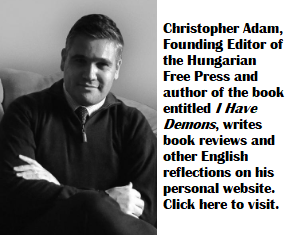 Kardos, after having been asked a question of how the Catholic Church can remain relevant within the broadly non-religious Hungarian society, he suggested that the Church must take seriously the Gospel call to live simply and to serve the poor. He summarizes his approach to life using three words: patience, poverty, prayer. He really can say that it is his his condition, his destiny as well as his duty. There are those that go out of their way to help the needy, as the need and the needy do never end. What an uplifting story which proves that true Christianity is still alive in Hungary! He is really not “homeless” as he lives in an instituyion for the disabled and handicapped. The homeless live on the streets and in parks,etc. unless they go into shelters, that are available in cities, even in Hungary.